It’s finally done. After 306 pulls It’s hard to explain how good it feels to have this boss dead. This is one of my favorite tiers of raiding ever released, and definitely one of the most difficult. We jumped 12 ranks with this kill, and was very nearly 14 ranks. 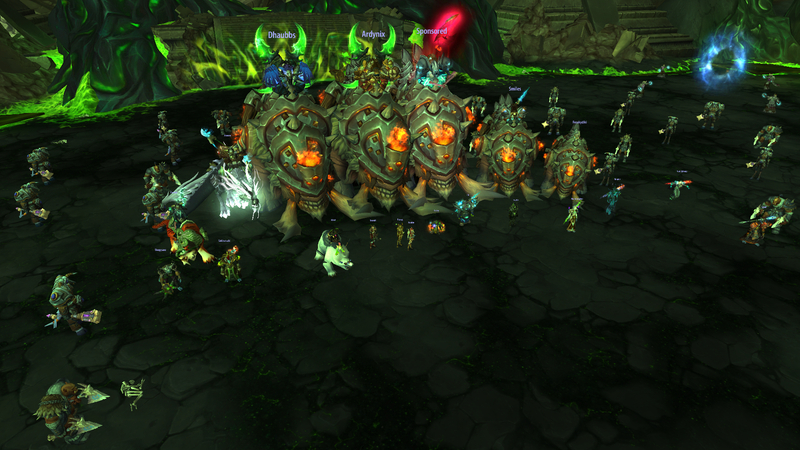 Overall we spent at least 3 fewer days progression on this boss than any of our competitors, and we’ve ended the tier as the US 4th 3-day guild. DC issues guild wide, wasting hours of progression time. Overall though we still made our rankings goal. We set out the tier aiming for top 50 using, and landed at US #30. An honorable shoutout to the apps, raiders, and socials who sat on the sidelines and cheered us on for a fight that called for specific jobs and comps. Seriously, we all appreciate it. Special callout to raiders who helped us early on in the tier and went casual on good terms – Theearth, Teggin, Cattage, Hemotherrapy, Ujellybra, Sublimity, Ashley, and Ikkman. Kill video should be up by the end of the week. See you all in legion!